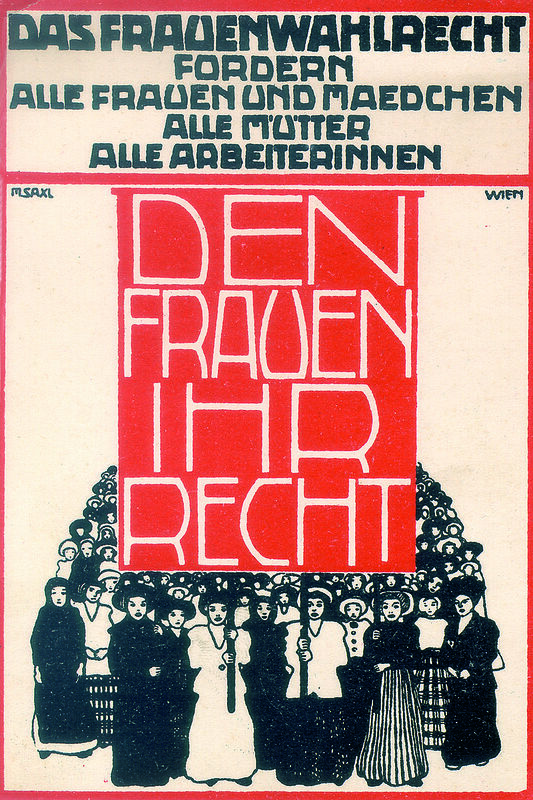 Following the November Revolution that ignited with the abdication of the Hapsburg and German emperors and subsequent truce, this day marks the centenary of universal suffrage in Austria and Germany with both women and men aged at least twenty (down from twenty-five from prior to Great War) being able to vote and stand for public office in any and all elections. 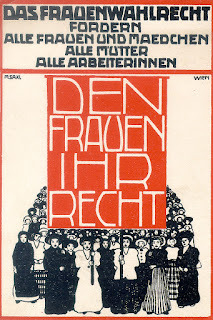 For the people of Germany, this pronouncement was legally ratified on 30 November 1918 and was to shortly thereafter be tested in the field and at the polls with federal elections called for the Weimar Republic in January 1919. Austria held Constituent Assembly (Konstituierende Nationalversammung) elections in mid-February. Though activists all over had been working towards the enfranchisement of women for years and the struggle for equal representation continues, political will acquiesced in part because so many millions had perished in the fighting and constituencies were more and more reliant on the votes of women to confer confidence and mandate.